These fun-to-knit … and fun to wear … socks are worked toe-up, in the round. I love knitting socks toe-up … then I can make the foot fit (trying on as I go) and make the leg any length I want. 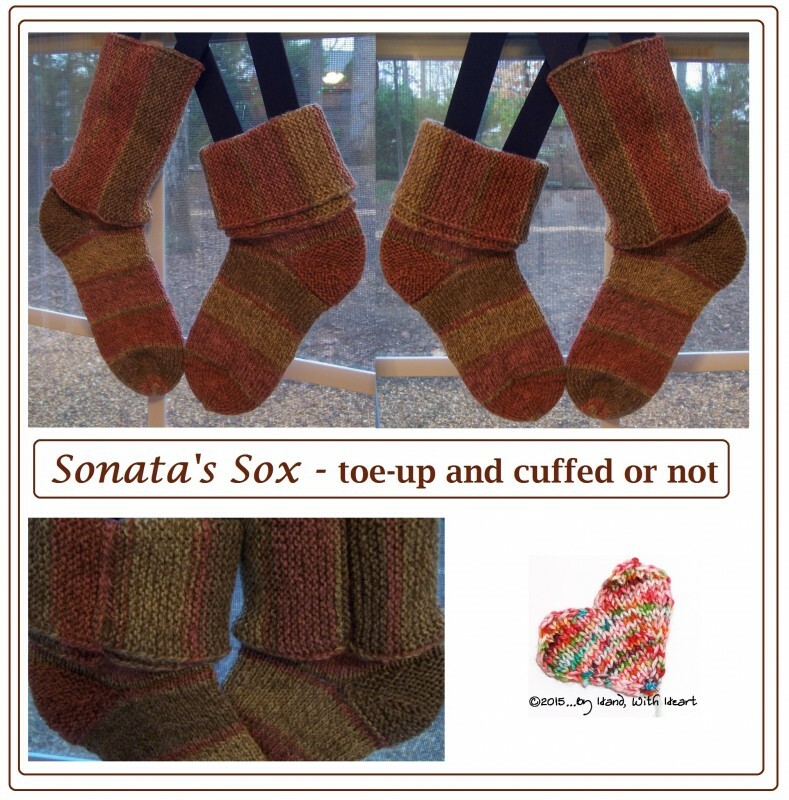 On these socks, after an inch above the short-rowed garter heel, stitches are CO and you’ll work the leg in garter-stitch; on its side, garter stitch makes a nice, cushy ribbed fabric. VERY fun! This design is available for immediate download on my Ravelry store, Craftsy site and (for my European friends) in my LoveKnitting store.